Following an earlier order to stand trial on charges of murder and felony child abuse reportedly related to the death of an infant in 2010, a Suisun City foster father pleaded not guilty on Wednesday in Solano County Superior Court. After a four-day probable-cause hearing last month, Judge E. Bradley Nelson reportedly ruled that there was sufficient evidence to order Reginald Tanubagijo to stand trial in relation to the death of a 3-month-old boy in his care that he had named Buddy. On Wednesday, Tanubagijo reportedly entered his not guilty pleas to both counts and a jury trial date was set for Oct. 10. The proceedings focused heavily on testimony from medical experts who opined that the baby's injuries were not consistent with an accidental fall. A Suisun City police officer reportedly responded to Tanubagijo's Youngstown Lane home on Nov. 29, 2010, after hearing a medical dispatch for a baby choking on milk. After performing CPR, medical personnel transported the baby to NorthBay Medical Center in Fairfield, where a CT scan revealed a possible head injury. Buddy was transported to Children's Hospital and Research Center in Oakland the following day and died after being taken off life support a week later. Two experts reportedly called to testify by prosecuting Deputy District Attorney Terry Ray noted that the severe retinal hemorrhaging that doctors observed in the child's eyes was consistent with abusive head trauma, formerly known as shaken baby syndrome. A 59-year-old Boise woman who was reportedly found guilty of causing fatal injuries to a 2.5-year-old boy who was left in her care in late 2009 was sentenced to life in prison Tuesday afternoon in Boise's Fourth District Court. Prosecutors reportedly asked for life with 30 years fixed, but Judge Ronald J. Wilper sentenced her to life in prison, saying she must serve 10 years before asking for parole. She was given credit for 93 days served. Wilper reportedly also ordered her to pay $19,000 in restitution. Stanfield reportedly opted not to speak in court Tuesday. Instead, she had public defender Ed Odessey read a written statement. In the statement, Stanfield offered sympathy — but no apology — for the death of the boy who was in her care. She also did not admit any guilt in causing injuries to the boy, saying that "I would never cause harm on anyone or anything, as that is not who I am." On June 4, an Ada County jury found Stanfield guilty of first-degree murder for the death of Wyatt Fesler, the son of her daughter's boyfriend. Fesler was at Stanfield's home daycare in Boise on Dec. 11, 2009. Paramedics were called to the home, and the boy was found unresponsive. He died two days later. A prosecutor reportedly told the jury during closing arguments in June that forensic evidence clearly showed that Wyatt died from abusive head trauma — the kind that occurs when someone is upset, grabs a toddler from behind and violently shoves the child's head into a hard object. The prosecutor reportedly said that medical tests found that Wyatt had fresh impact injuries to his forehead, mouth and under the chin, along with evidence of hand marks on his shoulders. There was evidence of older bruising on the boy, consistent with previous abuse. Stanfield and her family, who have reportedly maintained her innocence since her arrest in 2010, said Wyatt was prone to holding his breath and to fainting. His fatal injuries likely occurred when he fell and hit his head, they said. A trial date is reportedly set for an Austin man accused of abusing his one-year-old son in July 2011. James John Mentz, 23, has reportedly pleaded not guilty to first-degree assault causing great bodily harm. A complaint said his son, who was four months old at the time, reportedly suffered abusive head trauma under Mentz's care. The complaint goes on to say the child has reportedly had increasing seizure activity since then, and is currently sedated on a ventilator. Mentz reportedly claimed in the complaint a fall caused his son's injuries. His trial is set for August 27 in Mower County District Court. A Wisconsin appeals court has reportedly upheld the homicide conviction of a Madison-area baby sitter for causing the death of an infant in her care in 2007. The Fourth District Court of Appeals on Thursday reportedly ruled that Jennifer Hancock was properly convicted of first-degree reckless homicide in the death of 4-month-old Lincoln Wilber. An autopsy reportedly concluded the boy died from non-accidental abusive head trauma. Hancock appealed, reportedly arguing that prosecutors should not have been allowed to cross-examine her expert witness about articles pertaining to infant trauma written by people not present at the trial. The appeals court reportedly says any error in allowing questioning about the articles was harmless. Hancock was reportedly the only adult caring for the child in a Verona home when he suffered a head injury. A former Hawaii Marine and his girlfriend reportedly accused of letting their 14-month-old son die after his skull was fractured have been released on $25,000 bail. Assistant U.S. Attorney Michael Song says David Lonergan and Tracy Mattos reportedly pleaded not guilty on Monday to involuntary manslaughter in the death of Zayden Lonergan. Song says their trial has been set for Jan. 15. The indictment reportedly alleges the couple didn't immediately get medical treatment for the child in February 2011. The infant was rushed to a Hawaii base fire station and remained unconscious until he died. The Honolulu medical examiner's office reportedly ruled the death a homicide, with the cause of death "complications of cranial cerebral injuries due to abusive head trauma." The Fresno woman reportedly charged with killing her 1-month-old foster child two years ago was known to be having problems in her home prior to her daughter's death. Just days before foster parent Jovannee Reynolds reportedly took her daughter to the hospital, where the infant died of shaken-baby syndrome, a county social worker had visited Reynolds' apartment and found her second foster child, a 3-year-old boy, badly bruised, according to records obtained by The Bee. Follow-up county and police reports reportedly suggest that Reynolds may have abused the boy. The boy and the baby girl reportedly remained in Reynolds' home, however, until three days after the visit -- when the girl was hospitalized because of alleged abuse by the mother, the records show. While no one is reportedly blaming county social workers for not doing more to curtail the abuse, Mikayla's ensuing death and the events preceding it are posing questions for a foster-care system that has seen problems in the past. Today Reynolds, now 25, is reportedly scheduled to appear in court to answer to charges of assaulting and murdering her infant foster child, Mikayla Tabin. Reynolds also is charged with abusing her foster son, whose name is withheld in county documents because of his age. County Supervisor Henry Perea, after reportedly learning that social workers had observed problems in Reynolds' home before Mikayla was hospitalized, said he would seek a complete accounting of the actions of the county Department of Social Services, which runs the local foster-care system. "It's always a tragedy when we lose a child in our community," Perea said. "The county needs to sit down and see how we can increase our checks and balances to make sure children are protected." The Department of Social Services declined to comment on the case. Reynolds' attorney did not return phone calls from The Bee. The visit by social workers to Reynolds' home shortly before Mikayla's death is revealed in Mikayla's case files requested by The Bee under open-records laws. On Sept. 10, 2010, at least one social worker visited Reynolds' central Fresno apartment, where she lived with her husband, Randall Reynolds. The social worker observed bruises on her foster son's face, forearms and back, according to the records. Reynolds admitted to physically restraining her foster son, the records show, to prevent him from "self-injury," which may mean the bruises were self-inflicted. The report on the visit provides little explanation. But a follow-up report, completed by the Department of Social Services nine months later, cites the bruises as evidence in alleging that Reynolds abused both children. The boy was reportedly removed from Reynolds' care just after Mikayla was hospitalized on Sept. 13, 2010, according to police reports. Mikayla was reportedly taken to Children's Hospital Central California when Reynolds recognized that her child was having trouble breathing, the records show. Mikayla died Sept. 20. Investigators later concluded that the cause of death was shaken-baby syndrome, a condition associated with brain damage from violent shaking. Reynolds was reportedly arrested March 17, 2011. Her husband was not arrested nor charged with a crime. Reynolds, if convicted, faces at least 25 years in prison. The couple's foster care license has been revoked. The couple, who reportedly had no children of their own, were new to the foster care system, applying to be foster parents in April 2010 and licensed in July, according to the records. Their first foster child, the 3-year-old boy, was reportedly placed with them Aug. 9, 2010, the records show. Another child, whose name and age is not identified, was placed with the couple Aug. 20 but returned to family members a few days later. Mikayla, who was born Aug. 25, reportedly arrived at the couple's home at 5 days old, according to the records. Her biological mother had tested positive for methamphetamines and had a long history of drug use, the records show. The nearly two-year delay in the court proceedings against Reynolds is due to a long criminal investigation and scheduling conflicts of attorneys. She has been free on bail. The preliminary hearing is scheduled for 8:30 a.m. today. Mikayla's plight is not isolated. Shortly before Mikayla's death another girl suffered brain damage while in foster care, a case that ended with a county settlement of $325,000 for negligence, according to county officials. Two years earlier another foster child reportedly died under somewhat mysterious circumstances. The coroner's office ruled the death a natural death, but the biological parents suspected foul play. Social services managers have reportedly long said they employ strict checks of foster parents to ensure child safety. They also have said that finding enough qualified parents can be challenging. A former Palm Harbor home day care provider was reportedly sentenced today to 15 years in prison in the death of a baby in her care. Stephanie Spurgeon was found guilty of manslaughter in February. Spurgeon reportedly ran a daycare out of her home in the Deep Spring subdivision. On Aug. 1, 2008, the grandmother of 1-year-old Maria Harris picked her up after her first day at the home, to find Harris limp and not acting normally. Maria reportedly died soon after. Through tears, grandmother Pat Harris reportedly said: "I loved that baby so much. I would've gladly died in her place." Judge Cynthia Newton reportedly said the jury spent almost 24 hours deliberating on this case. "That's longer than any other trial I've had," she said. "Considering all the circumstances and testimony, the only just sentence in this case would be the 15-year maximum." During the trial, medical evidence about "shaken baby syndrome" was reportedly presented. The prosecution presented doctors that testified Maria Harris had been thrown onto a bed or shaken very hard. Spurgeon's defense team reportedly countered that nobody saw their client hurt the child, and the infant's injuries could have happened long before being dropped off at the day care center. When he was six weeks old, Ben Zentz was reportedly the victim of “shaken baby syndrome,” leaving him with severe lifelong disabilities. Though he will reportedly turn 9 years old on Aug. 16, his cognitive age is about 12 months. He reportedly needs constant care, and as a result of being shaken to the point his skull was fractured, Ben has cerebral palsy, is blind and has a seizure disorder, said his adoptive mother, Debi Zentz. Debi and her husband, Phil, of Shelby Township adopted Ben when he was two. Many people with disabilities reportedly fear they might lose services because of proposed Medicaid cuts under an austere plan by U.S. Rep. Paul Ryan, R-Wis. Ryan just was named as vice presidential candidate by Mitt Romney. The Michigan Department of Community Mental Health reportedly lost $37 million in funding, according to a June 14, 2010 news release, but since has had a 4.2 percent appropriations gain of $49.6 million to lift the budget to $1.2 billion. Federal funds reportedly provide money for CMH budgets in Michigan through Medicaid. Ben receives medical care under Children’s Special Healthcare, funded by CMH. The Zentzes worry Ben reportedly will lose any gains he has made because Macomb County Community Mental Health basically has eliminated most of his therapies. Debi reportedly said Ben’s occupational and speech therapy were terminated at the end of April and they fear his physical therapy also will be cut. She reportedly notes, however, Ben is unable to go to school because of his multiple disabilities so the basis for denial of what a school can provide is not valid. Brian Saucier, of Stoneham, reportedly pleaded guilty Friday to involuntary manslaughter charges stemming from the shaking death of his infant son, according to an announcement from the Middlesex District Attorney's office. According to the announcement, Saucier reportedly shook his son in 2002, and the boy died eight years later from the injuries. Saucier was reportedly arraigned on Aug. 5, initially entering a plea of not guilty. A man reportedly accused of fatally injuring his 8-week-old son in 2010 was sentenced to more than two decades in prison on Friday. Alfonso Tapia-Lopez, 31, reportedly pleaded no contest to second-degree murder last month. Investigators said his son, Alfonso Angelo Tapia, suffered brain injuries consistent with shaken-baby syndrome while in Tapia-Lopez's care in October 2010. The child reportedly died at a local hospital. Tapia-Lopez was arrested later that month on a bus in Louisiana. Authorities said he was in the United States illegally, and may have been attempting to flee the country. He was reportedly sentenced Friday to 22 years in state prison, with credit for almost two years served in the Orange County Jail. He will be deported upon his completion of the sentence. A New Brighton man was reportedly charged with criminal homicide today in the death of his 2-month-old daughter last month. Robert Heibert, had originally been charged with aggravated assault reportedly, but New Brighton police and Beaver County detectives reportedly withdrew the original charges after reviewing results of an autopsy performed by the Allegheny County Coroner's office, according to a New Brighton police report. Heibert reportedly admitted to police that he shook and spanked Melanie Alexander, born May 10, before she died on July 26. The police report reportedly said Alexander died of “severe brain trauma” and doctors at UPMC Children’s Hospital told police her injuries were consistent with those found in shaken baby syndrome. Heibert reportedly told police the child was crying and he shook her with such force that her chin struck her chest in a whiplash-like motion. When emergency response professionals were summoned to Heibert’s residence, they found Alexander without a heartbeat, according to the report. The Allegheny County Coroner’s office, after performing an autopsy on July 27, reportedly listed homicide as the cause of Alexander’s death, according to police. Heibert is reportedly in the Beaver County Jail, according to online records. Lawrence County Municipal Court Judge Donald Capper Friday reportedly set a $300,000 cash or surety bond for a South Point man accused of violently shaking his six-month-old daughter. Jerry Shrode, was reportedly arraigned Friday on one count of second-degree felonious assault. Capper appointed attorney J.T. Holt to represent Shrode, who remains in the Lawrence County Jail. Shrode must return to court Aug. 10 for a preliminary hearing. Shrode is reportedly accused of shaking and throwing the child July 29 at his. The child was taken to Cabell Huntington Hospital and is said to suffer from shaken baby syndrome. 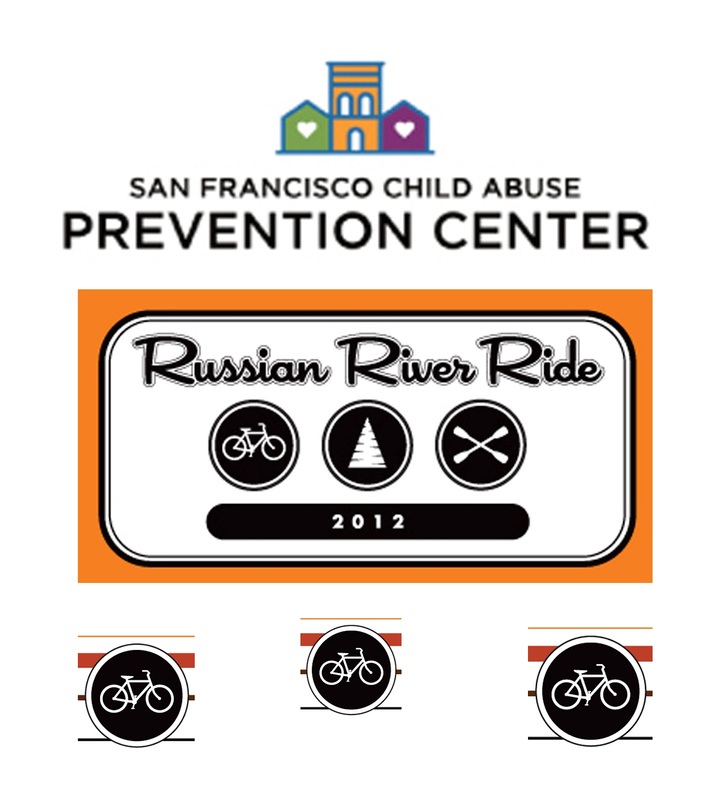 Wanted to thank you all for your support of my law firm's First Annual Russian River Ride to benefit Child Abuse Prevention Programs. 7 cyclists, myself included, rode over 160 miles and climbed 11,600 feet this past weekend from San Francisco to the Russian River - and back...with 5 miles of kayaking mixed in on our down day......And we raised almost $15,000.00 to date - with more coming in. We laughed, we crashed, we blew out tires and we certainly ached after climbing Mt. 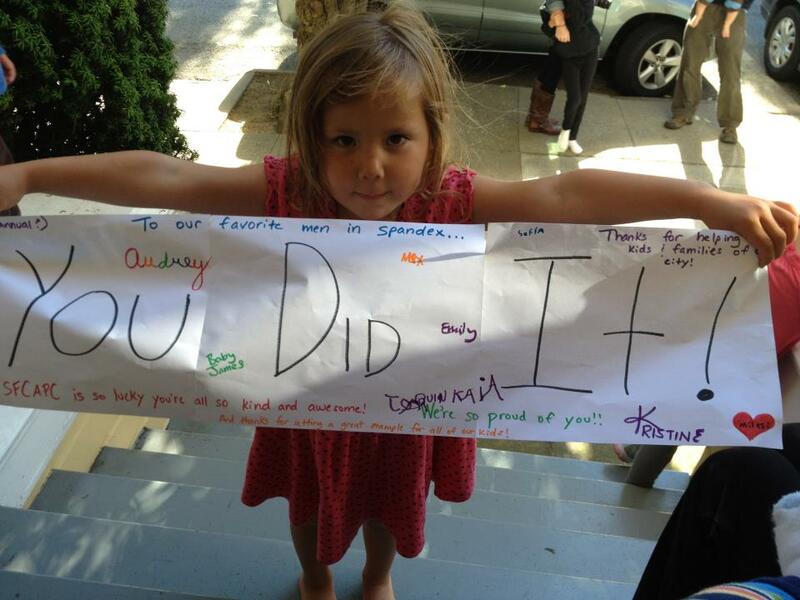 Tam - but it was all worth it, and we'll be doing it on an annual basis until I can peddle no more. Close Knit is having a summer sale Saturday, Aug. 4, from 10 a.m. to 5 p.m., and Sunday, Aug. 5, from 11 a.m. to 4 p.m. On their blog, they report: "There will be a store-wide discount on all books, patterns, and needles in the shop. We will also have many beautiful yarns around the shop tagged at an even more significant discount, including our famous super sale table." And if that doesn't get your crafty heart racing, their neighbor, the fabric store Bolt, is also having a sale this weekend. Their blog says all products will be 20 percent off, and all currently marked down items will be an additional 10 percent off. Close Knit is at 2140 N.E. Alberta St. in Portland. Need a use for all that sale yarn? Our pals at Randall Children's Hospital at Legacy Emanuelemailed us to let us know how their July 26 kickoff for Click for Babies 2012 went. The hospital launched its campaign to combat shaken baby syndrome through educating people about the period of PURPLE crying many kiddos go through. As part of the education, new parents get a handmade purple infant hat as a visual reminder of PURPLE crying and a reminder of how to handle it safely. More than 100 people showed up. More than 100 skeins of donated yarn were distributed, along with oodles of patterns for baby hats. Happy shopping/knitting! Remember, it's never too hot to knit! Especially something tiny and portable like a baby hat! An unidentified Visalia infant was reportedly in critical condition after suffering internal injuries consistent with shaken baby syndrome Wednesday, police said. The baby, less than a 1 year old, was reportedly taken to Kaweah Delta Medical Center after police, fire and ambulance personnel responded to a home in the east Visalia. Bryan Mark Hvass, 37, was arrested in connection with the infant’s injuries. Hvass was booked into the Tulare County Main Jail on suspicion of felony Child Abuse. The mother of a baby reportedly diagnosed with bleeding in the brain testified Tuesday that she saw no injuries on the 14 month old before leaving her at the home of the man accused of causing those injuries. The testimony reportedly came on the first day of the trial for Brian Fredzell Pringle, 44, accused of shaking a 14-month-old female baby in September and causing a subdural hematoma, or bleeding on the brain. The child, who had to be air lifted to Children's Medical Center of Dallas from East Texas Medical Center on Sept. 5, suffers paralysis on one side of her body, and had a retinal hemorrhage, prosecutors said Tuesday in opening statements. The trial is reportedly taking place in the Smith County 114th District Court. Pringle faces up to life in prison if convicted of injury to a child, a first-degree felony, prosecutors said. The 21-year-old mother reportedly told the jury that she bathed her baby on two separate occasions on Friday before dropping the child off at Pringle's home on the night of Sept. 4. The mother, who attended a family reunion with the child prior to leaving the baby with Pringle, testified that her daughter was "acting normally" that night and had no injuries on her body. The mother testified, reportedly in response to questioning from prosecutor Whitney Tharpe, that her baby was learning to walk and frequently fell down the night of the family reunion. "She tripped and hit her head on a folding metal chair (Sept. 4) and fell off of a porch," the mother said. Ms. Tharpe reportedly asked the mother when she next saw her baby after she was left with Pringle. "At the hospital," the mother replied, referring to ETMC. The mother testified that her baby was "just laying there" when she saw her at the hospital. The mother asked to hold her daughter and she did so for about 15 minutes before nurses told her that they had to airlift the child. In opening statements, Smith County Assistant District Attorney Jacob Putnam, explained that Pringle was taking care of the baby, who was a relative, on Sept. 5, when he ran to a neighbor who was returning to her home from work. Pringle told the neighbor, Cassandra Wheeler, that the child had suffered a seizure. But when Ms. Wheeler reportedly called for emergency help, Pringle took the baby back to his home, saying he didn't think it was necessary to call an ambulance. Several emergency medical technicians from the Tyler Fire Department reportedly testified that when they arrived at the scene, they could not get Pringle to answer the door at his home. When Pringle did open the door and allow the technicians inside, he told them that he and his wife had taken the baby to a high school football game on Sept. 4, the night before, and that the baby had grabbed her head once, yelling in pain. The technicians reportedly testified that they saw the baby lying on a bed, and that although she was breathing, she was unresponsive. Six years after a 2-month-old boy was reportedly severely injured, his mother and her then-boyfriend are behind bars. They are reportedly now accused of murder and child abuse. It was one year ago Wednesday that Brayden Bork died from injuries he suffered as an infant. Police believe Edward Thompson shook Brayden violently. "If we can learn one thing from this tragic case, it's that not everyone is fit to be a parent," said Officer Laura Meltzer with Metro police. Police reportedly got a break after six years, largely due to information provided by a new witness. Thompson, 32, and the child's mother, Monique Bork, 26, are reportedly now charged with Brayden's death. "No matter how trivial it seems, if you know something about it, say something. That may be the piece of the puzzle that puts it all together," Meltzer said. In August of 2006 Monique Bork reportedly brought her son to Sunrise Hospital where doctors discovered abusive head trauma consistent with shaken baby syndrome. She told investigators a toy had fallen on him a few weeks prior and that no one would hurt her baby. "They can tell if it's shaken baby syndrome or some trauma to the head," said family physician Dr. Daliah Wachs. Wachs reportedly said even small injuries to an infant can lead to major problems down the road. Brayden became legally blind and suffered from cerebral palsy. "For this child to have been diagnosed with cerebral palsy at the 2-month mark, that means the injury must have been extremely severe," said Wachs. The child reportedly went to a foster family and was later adopted but died last July. A friend told investigators that at one point Monique Bork called her and said, "Something's not right (with my child). Can you just come over?" The friend reportedly said that Monique Bork later confessed that the child had been shaken. That friend recently came forward as a witness because she had reportedly been of the impression that Thompson was already jailed for this. Now he is. Metro police reportedly said Thompson has an extensive criminal background. Thompson and Monique Bork are reportedly charged with murder and child abuse. Thompson faces an additional charge of neglect. What causes Shaken Baby Syndrome? An Amazing Boy and Survivor of Shaken Baby Syndrome – Adam Carbajal – visits the San Francisco Child Abuse Prevention Center and makes the case for Child Abuse Prevention!